Home /Tarot/Is the Tarot Still Relevant in the 21st Century? 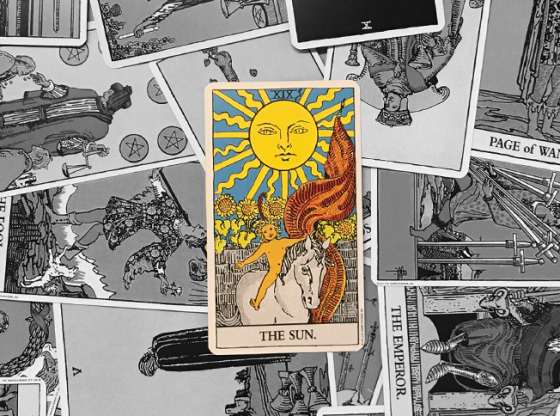 With its ancient symbols of Emperors and Queens, Swords and Knights, the tarot deck may seem like an outdated relic from the past. This is quite far from the truth. The illustrations and titles of each card may often come from a different era in human history, but they quite easily apply to contemporary life. While the cards were designed with the situations of the time when the world was young, they resonate today with timeless symbols that can be applied to our busy modern world. From discovering intimate details about the future of your love life to painting the big picture of where your career is going in a high-tech universe, a tarot reading illustrates the cityscape of your life. One must look at each image in the tarot deck as an archetype. A castle painted in antiquity meant the same thing to the king and queen that your house or apartment mean to you. Children appear in the tarot deck and contemporary psychology spends much of its resources discussing the inner child we all privilege or punish. 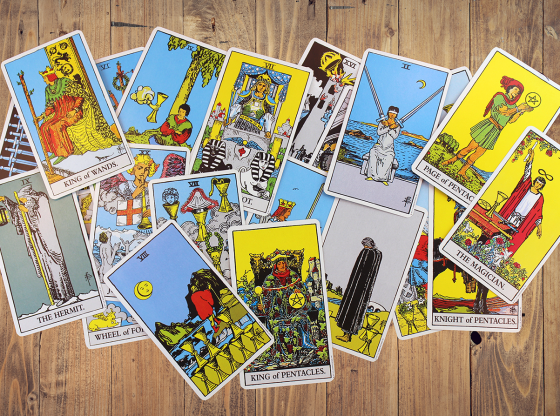 Centuries of tarot readings prepared the world for Freud’s theories and together these define our contemporary consciousness. Some of the deck’s most ancient illustrations can, using their illustrated subjects, be seen as archetypes for some of the most contemporary situations. Read the analysis below to see if your modern life was painted correctly by the ancient world. While The Hermit card depicts a man dressed in robes alone on a mountaintop and sees with the aid of an ancient lantern light, imagine surfing the internet for knowledge, the lone glowing screen of information lighting up your darkened room. He might even be wearing a bathrobe. 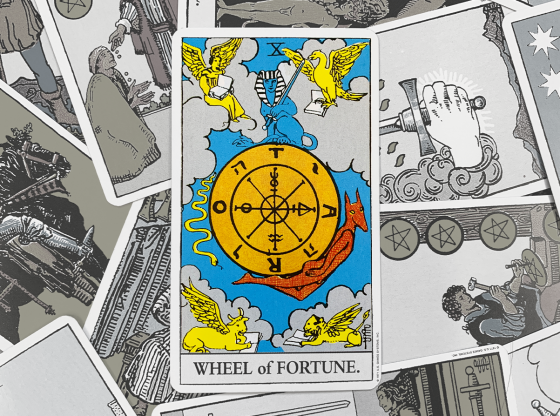 It is easy to read the coins in tarot as metaphors for money, but look a little deeper. The star engraved on each coin is what makes it a pentacle and is actually indicative of money passing through our hands as energy to assist personal growth. 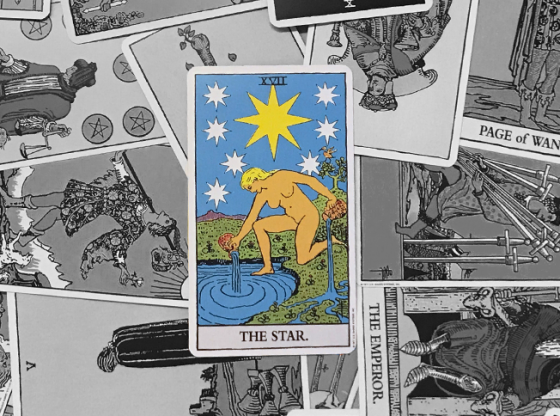 The five pointed star illustrated on pentacle cards is actually a continuous line with no breaks, no beginning and no end, like a dollar circulating from consumer to retailer to producer and back to consumer. In an era when the police carry guns, swords are a quaint notion of defending a medieval fortress. But the archetype of the sword goes far beyond its military use. Words that turn a critique into an argument are called cutting. A partner saying something that hurts is said to have a sharp tongue. 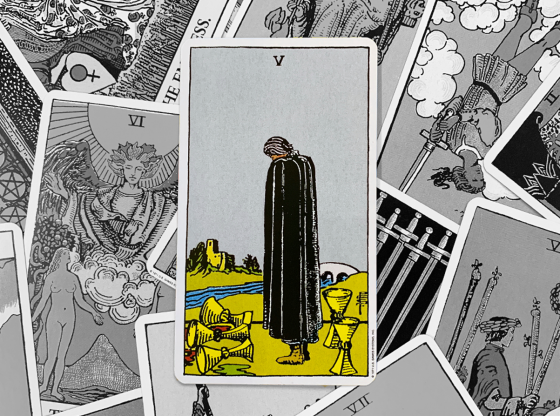 There might be more instances in contemporary life for a metaphorical sword to hurt us than there was when the tarot deck was first illustrated. On a throne surrounded by ancient symbols, The Empress hardly seems like a girlfriend you would add to your Facebook or MySpace friends list. And yet there she is, on a throne in the middle of a field, a forest far behind, holding a bejweled staff, wearing a diamond-encrusted tiara and draped in some outlandish fashion. Her purse has the symbol for Venus, reminding everyone that this shopaholic princess enjoys being a girl. Isn’t every mall in America overrun with aspiring Empresses each weekend? 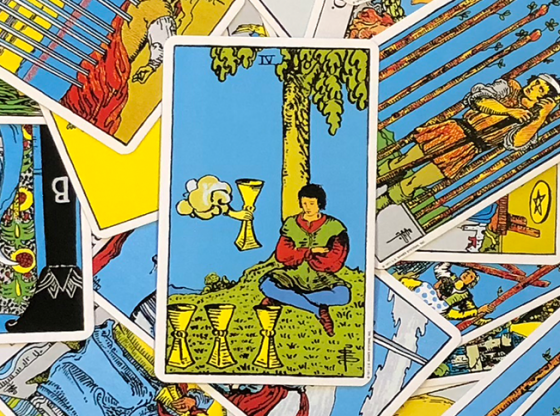 The Emperor on a throne might serve a fairy tale well, but how does the modern world of elected leaders in business suits reflect the tarot’s indicator of certain and forceful masculine energy? Anyone who has ever had an imperious boss who barked ultimatums from his office chair might swear they saw a heavy crown and long grey beard in between the shouts for more coffee coming from behind that desk. In a world where extreme horror movies outpace any ancient notion of a terrifying demonic force, The Devil card in tarot reveals some subtleties that reflect contemporary horrors. In the card, a man and a woman are both chained to the feet of the Devil’s throne. This is a metaphor for addiction. The Devil card appears in contemporary readings that reveal someone in your life chained to a drug or alcohol problem and possibly chaining you to their disease through codependency. A man in armor riding on horseback carrying a tree branch is not exactly someone you see on your way to class or the office every weekday. The ancient symbol of creative inspiration is something, though, that will come in handy for current times should it appear in your reading. Wands are seen as metaphors for resourcefulness and entrepreneurial spirit. The ancients crafted useful tools out of fallen tree branches, walking staffs to assist arduous journeys. The metaphor for using a creative idea to become a success is as modern an idea as a fast internet connection. Knights were the medieval message bearers, defenders of territory and seekers of glory on behalf of their kingdom. 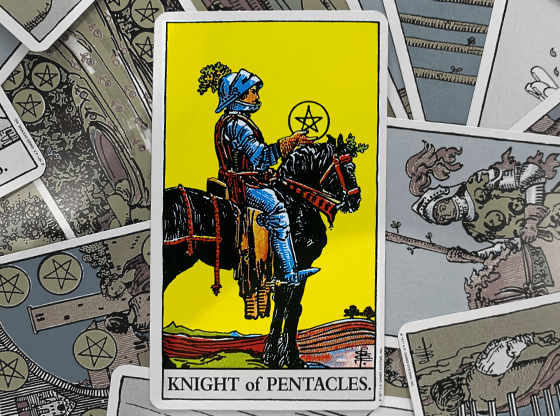 If your boss believes in tarot, let him or her know when you have drawn the Knight of Wands card — your inspirations about where to go could lead the company to great successes. Far from a card depicting a lynching, The Hanged Man card shows a man hanging upside down, tied to a tree by his ankles. On closer examination, the tree seems to have been constructed from timber, not grown from the ground. And with his hands behind him, we cannot tell if the man is bound or simply hiding his hands. A halo surrounds him, making further contemplation at least consider that he is in a self-induced predicament. 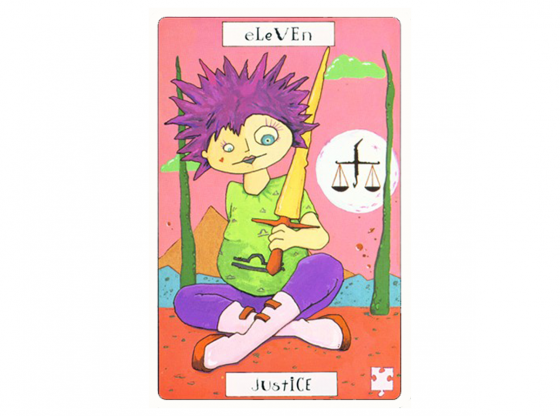 The Hanged Man card represents those life situations about which we complain that we put ourselves in from the beginning, often almost willingly. If any card of the deck describes modern life the best, this one might take the prize. 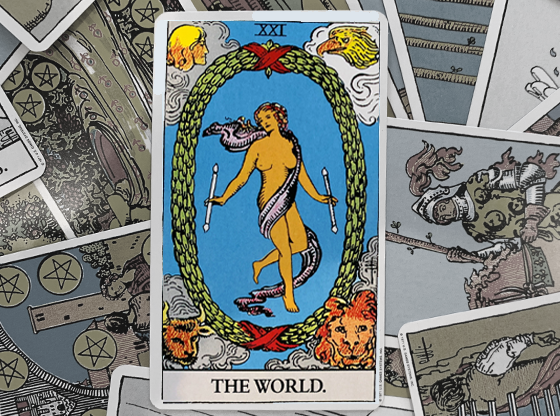 No card in the tarot is devoid of meaning for contemporary life. 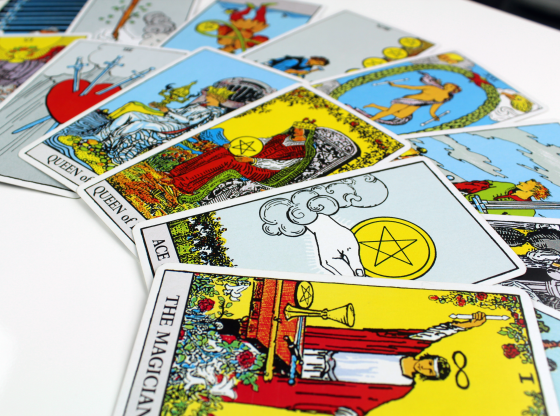 It is up to your tarot reader to apply the ancient archetypes and symbols to your current world and specific situation.